Our desire is provide an opportunity for children and families to grow in their relationship with Jesus and others. Nursery - during our Wednesday bible class and Sunday worship we offer trained and secured childcare for children and toddlers. Bible Time - while children are welcome to attend worship with you, children between age of 3 through the 2nd grade may also take advantage bible time. About midway through worship children will may leave to attend bible time in a separate classroom where they will engage in age-appropriate activities to develop their discovery, wonder and passion for God. 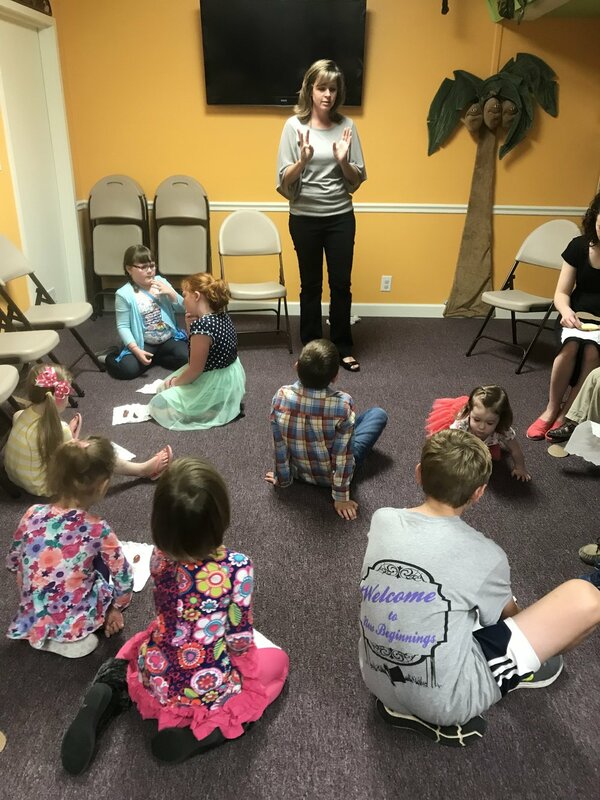 Wednesday Bible Classes - we offer classes where pre-school and elementary aged students connect with one another through activities, discussion and prayer. NETWORK, JR. - is where elementary students between 3rd grade - 5th grade gather for devotionals and activities geared toward helping them foster a foundation built upon Christ as they approach their teen years. Vacation Bible School - this is an incredibly high-energy, fun, week-long program during the summer for children 3 years-old through 5th grade that challenges them to engage with God in a unique way. It typically happens in July. Check the events page to see what's happening in the Children's Ministry.